This is a great Book to read and really does hit home to som ..
Paula Peters was born on 19th July 1971 in Farnborough, near Bromley in Kent. Having suffered with Depression from the age of nine when she lost a close relative and suffered bullying at primary school. At 18, Paula started the second part of the journey, rapid cycling mood swings. Paula had a breakdown at the age of 23, which resulted in a suicide attempt and her first in patient hospital admission at the local psychiatric hospital. Paula continued with the battle with her mood swings, never understanding why her moods were cycling rapidly, and getting no answers as to why it was happening. In 1998 at the age of 27, Paula was referred to the Affective Disorders Unit via the Bethlem Royal Hospital, and she was admitted as an in-patient. It whilst while she was there Paula had times when her moods cycled 26 times over a single day she was given a diagnosis for all the suffering she had endured, Cloythmia Mood Disorder. Stephen Fry termed this condition Bipolar Lite, having been diagnosed with this himself, Paula describes it as the constant ups and downs in her book, “Yes, I really do hate yo-yo’s”, the constant fear of never being in control, the attempt to take her own life, and the condition was so serious, that Paula was admitted into hospital in January 2011 because of a depressive episode and suicidal thoughts. From 2010-2011 Paula was treated by the crisis team at least five times. Towards the end of 2011 Paula’s health took on a new twist when she became physically unwell and her hands and wrists became stiff, swollen and painful. In January 2012 Paula was given the news she was suffering from the auto immune disease Rheumatoid Arthritis (R.A.) she describes in her book pain of the condition, being scared of the future and the unknown of what will happen, and how mental health disability collides with a physical disability. “Yes’ I really do hate yo-yo’s gives messages of hope, and that even with a disability whether a mental or physical illness you can still achieve. The Powerful Poem “Human Beings” and “I am” shows how with a behind a disability there is still a person who can still achieve and has hopes and dreams and just wants to live their lives, a powerful statement based in truth. Within her book she describes the battles with the constant ups and downs, the battles with Depression, suicide, but clung to the hope that she could still achieve. In 1996, Paula joined the service user movement, speaking out on mental health issues that affected other patients; she ran a campaign to save her local day hospital at the psychiatrist unit and then joined Bromley User Group (service user involvement) where she rose to become their chairperson in 1998 at the age of 27. Paula has participated in video called myths about madness that helps mental health professionals gain more understanding about mental health conditions and how they affect people. In 1999 Paula was attending a Bi-polar self help group and her local group met the world famous actor Richard E Grant as he was researching a part he was given where he portrayed a character with Cyclothymia for a TV production for Lynda La Plant’s Trial and Retribution, the advice Paula among others gave him was invaluable to him, and he was grateful to her and others for their support and encouragement in playing the role with a character with mental illness so accurately. In 2010, Paula then came into contact with Community Options a mental health charity that supports people with mental health issues live independently in the community and be socially included as a human being, empowered and enabled. Paula helped set up C.O.I.N (Community Options Involvement Network) and they now have two groups, in Bromley and Tower Hamlets. Paula is still a member of C.O.I.N, but knows there is still a lot of work ahead. In February 2012, Paula started a Face book page called “Abolish Disabled Discrimination” Paula says “I want to start a campaign to Abolish discrimination for all disabled people. I would like to be able to challenge policy at national level and hopefully internationally by making people think about the hateful words they use, and for all disabled people to live their lives free from fear. Disabled hate crime has risen 50 per cent, mostly in part to the media, well, there are two sides, and it is time we were heard, I want others to join with me and they can participate in my page, help me administer it, and turn it into a global campaign, we do better if we unite together, because it is only together as a powerful lobbying group that we bring about change.” In March 2012 Paula wrote the poem “Human Beings,” Paula says “Even in my poetry I can speak out and help others. I wrote this poem with a message we are human beings, we want to live our lives, and give us a chance we can show you who we are, that with a disability we are exceptional human beings”. I took a risk, posted it on my Face book profile, and my friends, and family loved it, saying it needed publishing for others to be touched by it, then I sent it to Community Options who declared it was their manifesto, and they recommended Chipmunka publishing, and I took a deep breath, sent it to Jason Pegler, who then said send it more poems and I will have a look and see how he could help. I did that, and he told me he was going to publish my work. Now I have a wider audience to get my voice heard, a lifetime’s dream realised. The messages of hope and encouragement I have received have been mind blowing, people telling me to get their voices heard and get their messages in the wider community, I am passionate about doing this, and it will help me with my own battles, by helping others. I want to raise awareness of Cyclothymia, there is little known about it and I want to change all that. I want to raise awareness of auto-immune diseases as well. But I want to raise awareness that people with ALL disabilities are Human Beings. It has given me new purpose and a new mission in life – campaigning for others but on a bigger scale. I want to see where I can take this. I want to have an impact on other people’s lives and make the world a better place for them to live with a disability. 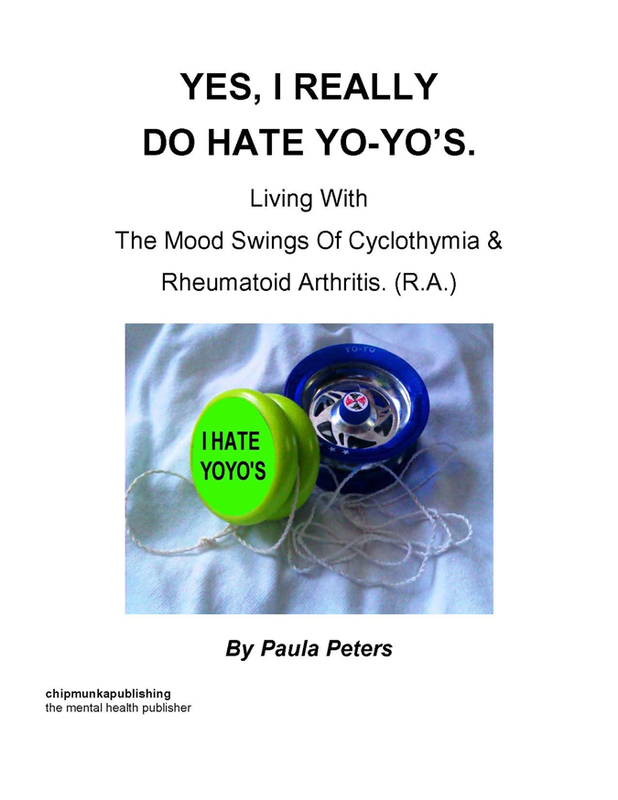 About “Yes I really do hate yo-yo’s” Living with Cylothymia Mood Disorder and Rheumatoid Arthritis. (R.A) By Paula Peters. Read the journey Paula experienced with suffering distressing mood swings and the darkness of Depression. The story of “It began” with crying out in the darkness with “Depression” wanting professionals to write about cyclothymia mood disorder “No information,” and wanting to change hospital food and in “Dear old hospital Food” She gives insight to the darkness of Depression, the despair when thoughts of suicide creep in, and the powerful message in the poem “Human Beings” and “I am” that we are people not a label and that we want to live our lives” that despite disabilities she became a campaigner, and her gift in writing poetry brought about by her mental illness brought about the book, “Yes, I really do hate yo-yo’s”. 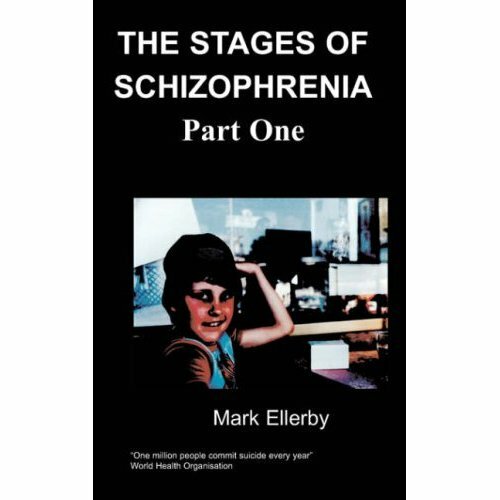 It is a story of despair, fear of not being in control, the fear of the unknown when you are first diagnosed with a physical disability, but despite it all, the message of hope, inspiration, determination, and despite all the issues faced for a person with a disability, they want to get on with their lives and be. Powerful, heartfelt, and insightful writing through verses of poetry,” This is the book called “Yes, I really do hate yo-yo’s” by Paula Peters.